Throughout many different fandoms and universes, there have been instances where two commanding super forces collide, leaving fans at awe with what they are witnessing. Some examples of these cataclysmic encounters are Vader vs Skywalker, Kirk vs Khan, Batman vs Superman and many more. In the Marvel Universe, one of these incredible battles takes place during a series that divides the superhero community and changes the world entirely. This is known as Marvel: Civil War Series. Over the years, I have grown to truly honor and appreciate the storyline in the series and have collected numerous comics. It was become one of my favorite series, not only because of the intriguing storyline and action but also because you get to learn more about the beloved heroes and where their allegiance truly lies. Within the story, heroes are asked to register their identities, a task not so easy for some superheroes. To a hero, their identity is sacred and is an ideal that should never be surrendered. One of the most respected and honorable heroes, Captain America, becomes the face of the anti-registration movement and clashes with longtime friend and ally: Iron- Man. Comic lovers dive into a world where friends clash, enemies turn into allies, and people’s true natures are revealed. 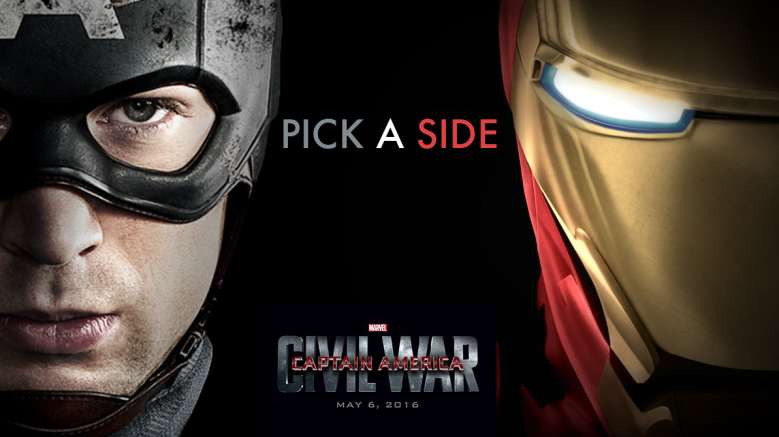 Next year, fans will also experience some of this in Marvel’s Captain America: Civil War. While I understand this film will not cover everything in the series, I am still equally excited to see what Marvel does with exciting new chapter in the MCU.